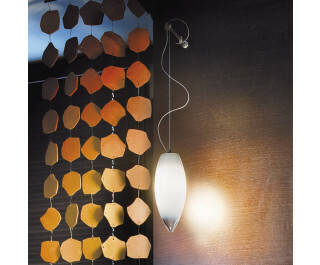 The light wall fixture Baco AP is produced by the manufacturer Vistosi based on the design by Mauro Olivieri. The tapered glasses are mouth-blown and consist of nuanced crystal glass. The light is completed with a satined nickel structure.